For benchmarking reviews and assessment of existing science centres, Professor Persson partners with Ms. Lesley Lewis, Consultant, Toronto, Canada. Ms. Lewis was the CEO of Ontario Science Centre in 1998-2014. For new science centre projects, Professor Persson partners with Mr. Ingit K Mukhopadhyay (Mukherjee), Consultant, Kolkata, in preparing and evaluating conceptual plans. Mr. Mukhopadhyay served as Director General of the National Council of Science Museums, India, in 1997 – 2008. In addition, from October, 2018, Professor Persson represents Dinosauriosmexico in providing superb robotic dinosaur exhibitions to science centres and museums outside Mexico. For a quote, please, use the email below. Professor Per-Edvin Persson (Pelle among friends) is one of the world’s leading experts on science centres and museums. He was Director of Heureka, the Finnish Science Centre, from 1991 until 2013 (www.heureka.fi). Under his leadership Heureka developed into one of the major science centres in the world, circulating exhibitions on four continents and in 25 countries. 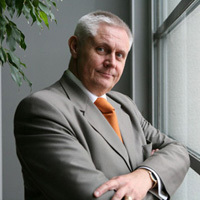 Together with Roy Shafer, he implemented a strategic planning model for Heureka, in use from 1997 until 2013. Professor Persson chaired the Nordic Science Centre Association in 1987-1991, the European Science Centre Network ( ECSITE) in 1997-1998 and the international Association of Science-Technology Centers (ASTC) in 2004-2005. He instigated the series of Science Centre World Congresses and chaired the first one in Finland in 1996. Professor Persson has held expert positions in the science centre field in China, Estonia, France, Germany, Norway, Sweden and the United Kingdom, and continues to hold some of them. He has visited over 500 science centres and museums in all seven continents. For more information, see www.peredvinpersson.fi. Per-Edvin Persson receíved the ASTC Fellow Award for Outstanding Contribution to the Field in 2007. He was elected Honorary Fellow of Ecsite in 2013. He received the ASPAC President’s Award for his contribution to science centres in the Asia-Pacific region in 2014 and the NSCF Award of the Nordic Science Centre Association in 2015. Since 2013, Professor Persson has worked with clients in 22 countries in five continents. Per-Edvin Persson did a feasibility study on the possibilities to establish a broad-based museum of science, technology and innovation in the Helsinki Metropolitan Area in 2013. To read the summary in English, click on the link below. Pelle was one of the keynote speakers at the Asia and Pacific Science Centre Association (ASPAC) Conference 2014 in Darussalaam, Brunei. For a copy of the presentation, click below.